Caravan Hire available in Northern Ireland. Modern and spacious, easy to tow and very easy to set up. Large seating area at front converts to king size bed. Fully enclosed shower cubicle and toilet. Fly screen blinds on windows and doors. Gas and electric heating and hot water system. 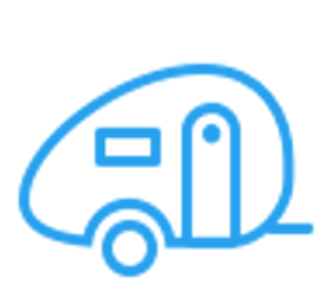 You can pick up the caravan at our base at a pre – arranged time slot, alternatively we can deliver to a site of your choice (small fee applies). Wheel lock which must be used when sited to validate insurance. Toilet must be emptied. There is an additional fee of £40 for any pets. Must be left in similar condition as collected.